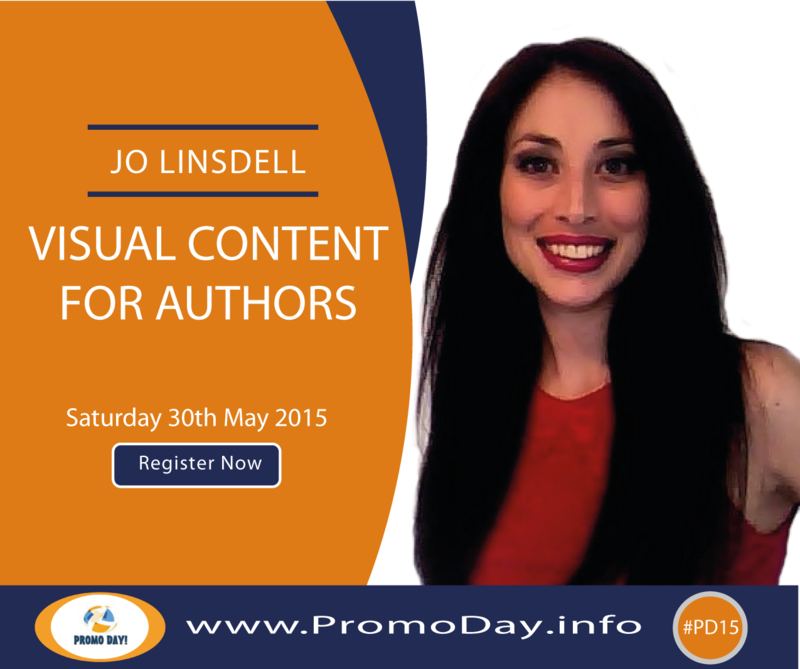 Join me at #PD15 for webinar "Visual Content for Authors"
Preparation is all go for this years Promo Day event. I can't wait! Saturday 30th May is going to be awesome! This year I'll be giving a webinar about "Visual Content for Authors". I will show you how to take advantage of the power of visual content. Along the way you'll learn about why authors should be creating visual content, how to use images, video, and more, to build your author brand and connect more with your audience. Plus loads of tools, tips, and advice to get you creating visual content for the best results. Register now at www.PromoDay.info for access to this free webinar!